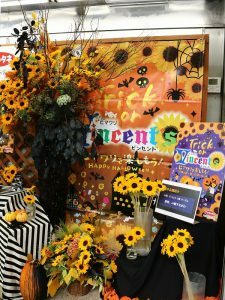 Flower design: Ms. Keiko Ueno, Liberte Inc.
We displayed the series of “Vincent” by Sakata Seed Co. this year too. 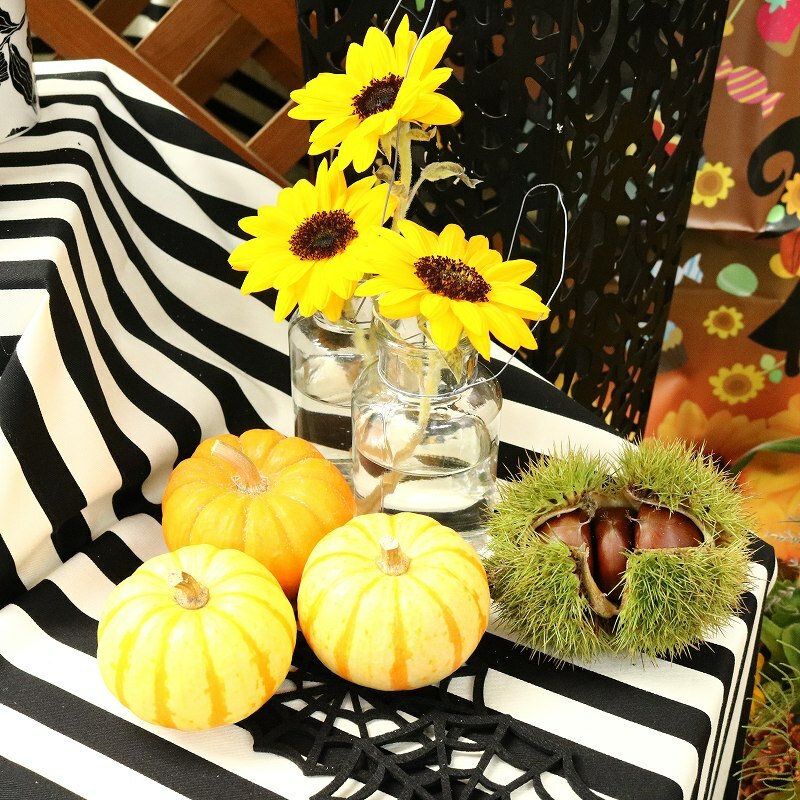 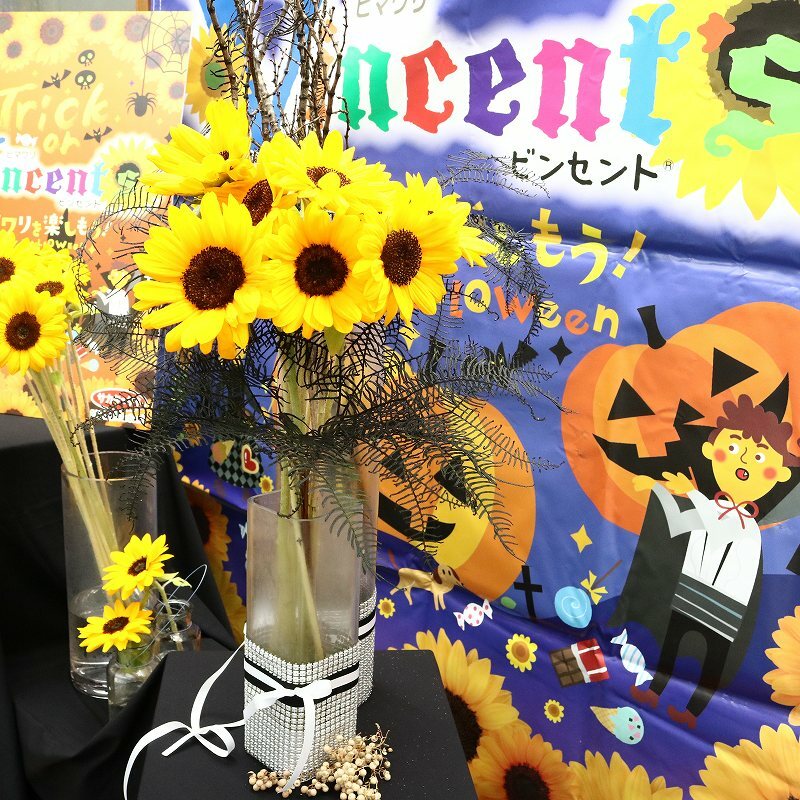 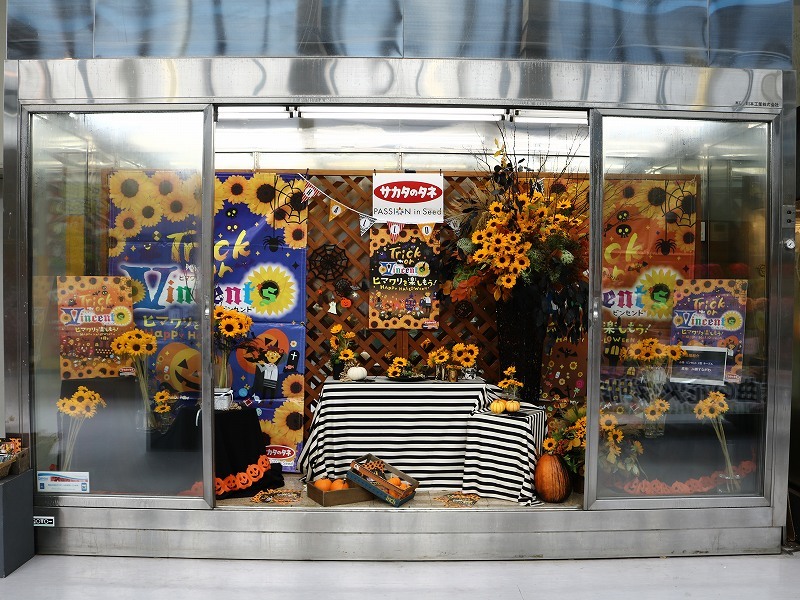 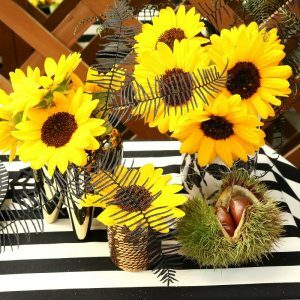 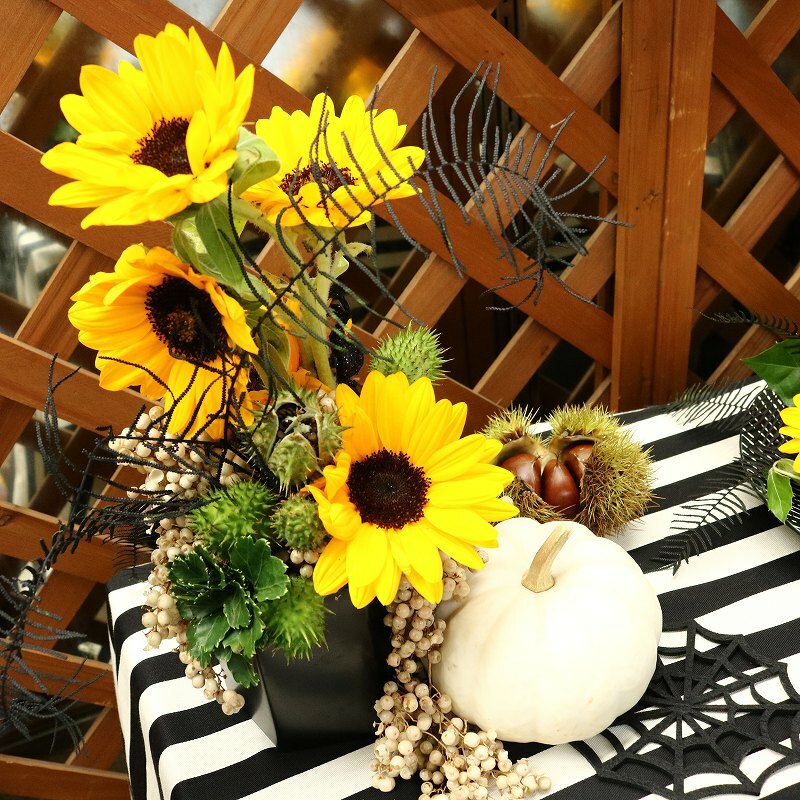 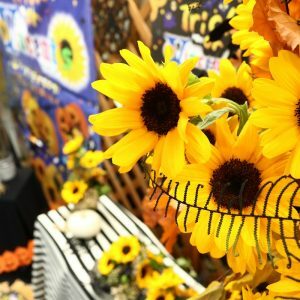 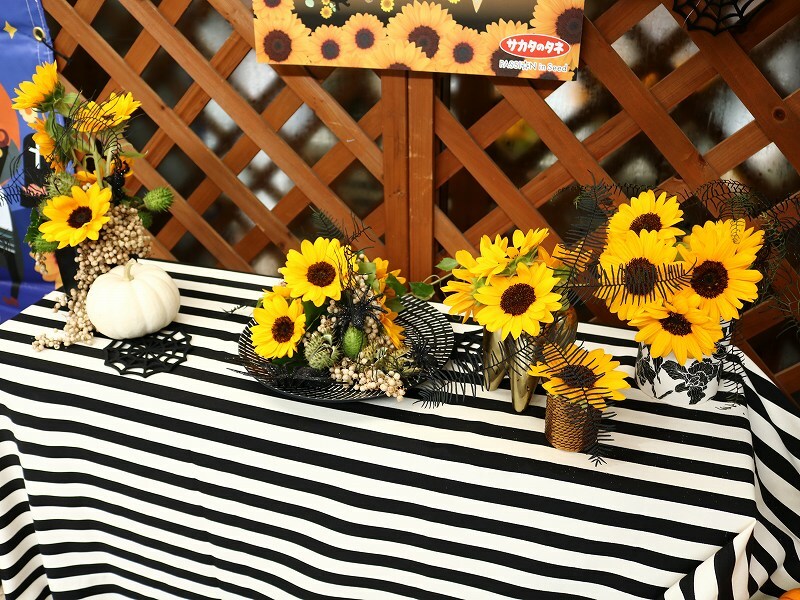 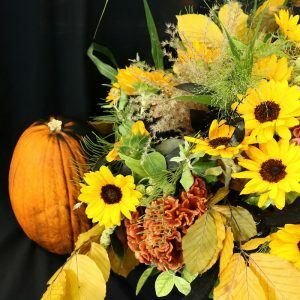 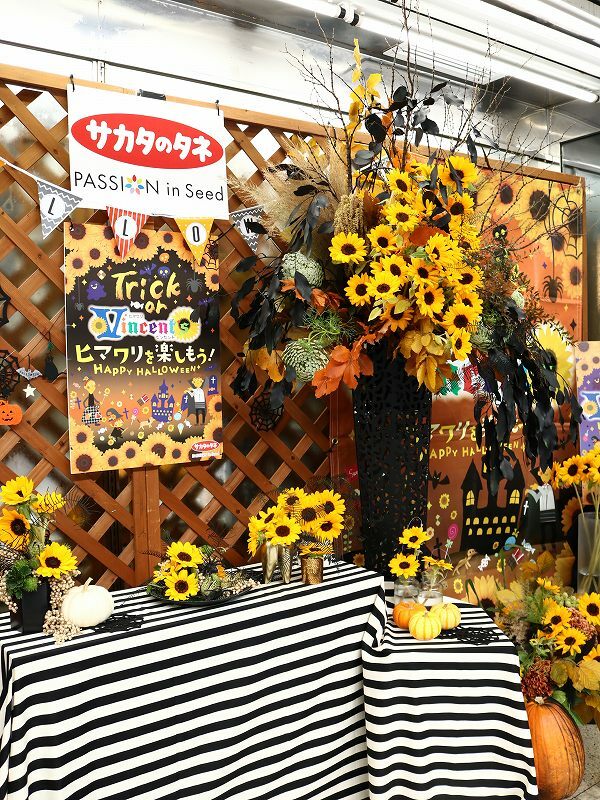 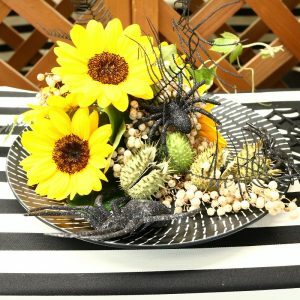 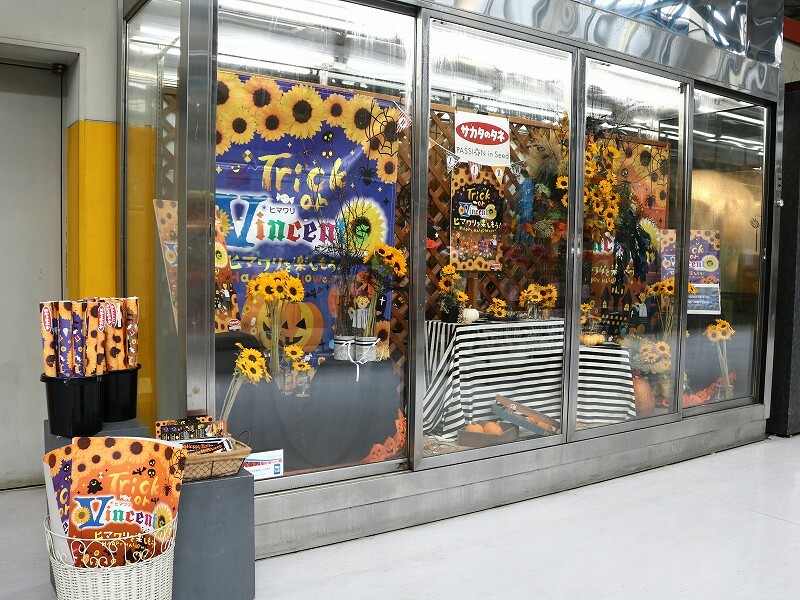 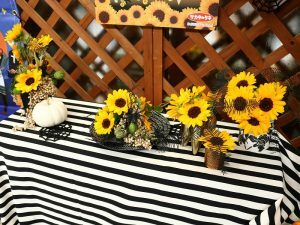 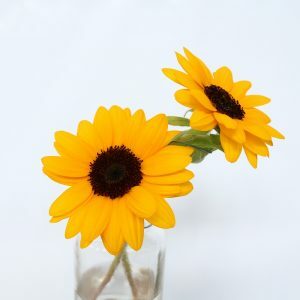 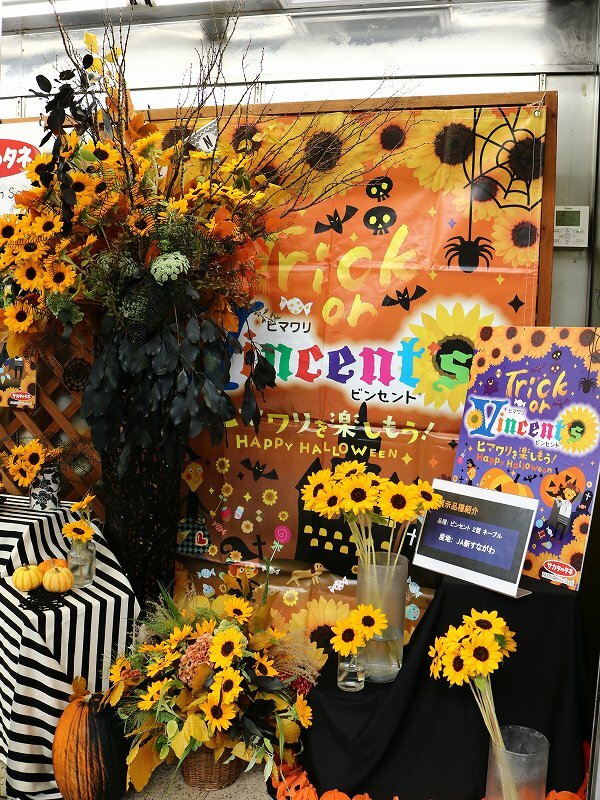 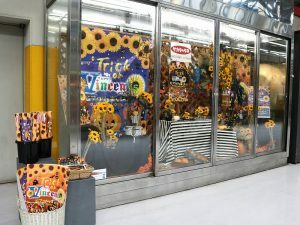 The showcase this year got full of the Halloween arrangements in chic modern black that were made by Ms. Keiko Ueno of Liberte Inc.
“Vincent” was named after the Vincent van Gogh, who put his soul into his works of Sunflower. 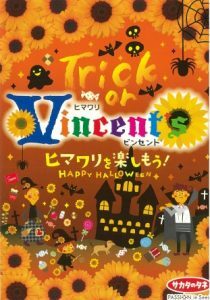 The type of the Vincent for this time was “Vincent (Type 2) Navel”, and its color is warmer among the series. 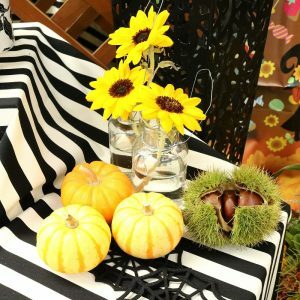 This is why it goes very well with the color of pumpkins so is suitable for decorations in Fall like for Halloween. 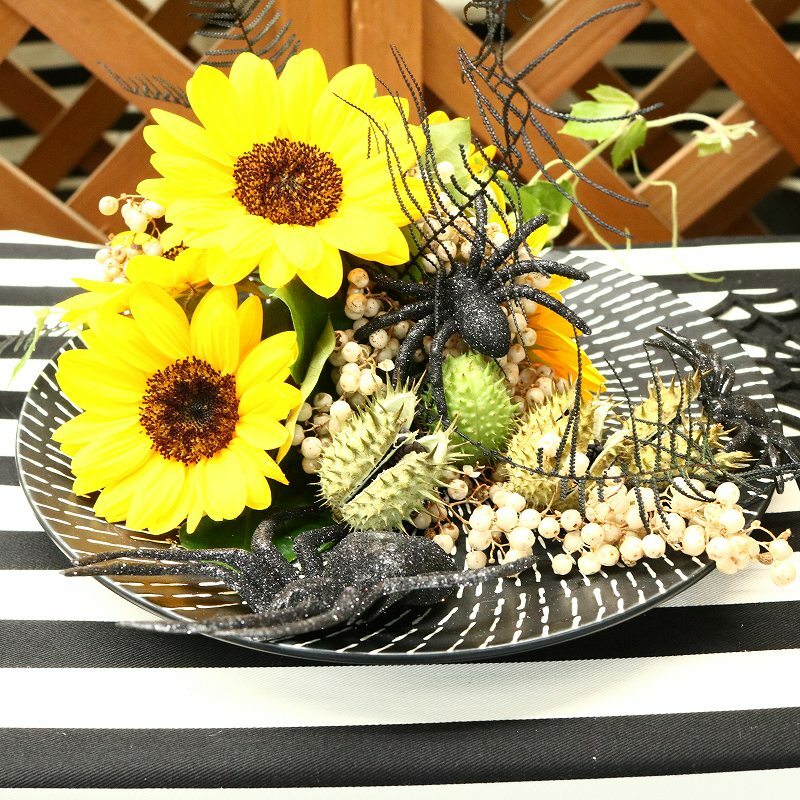 The cute shape with its multiple round petals is even great for enjoyable Halloween. 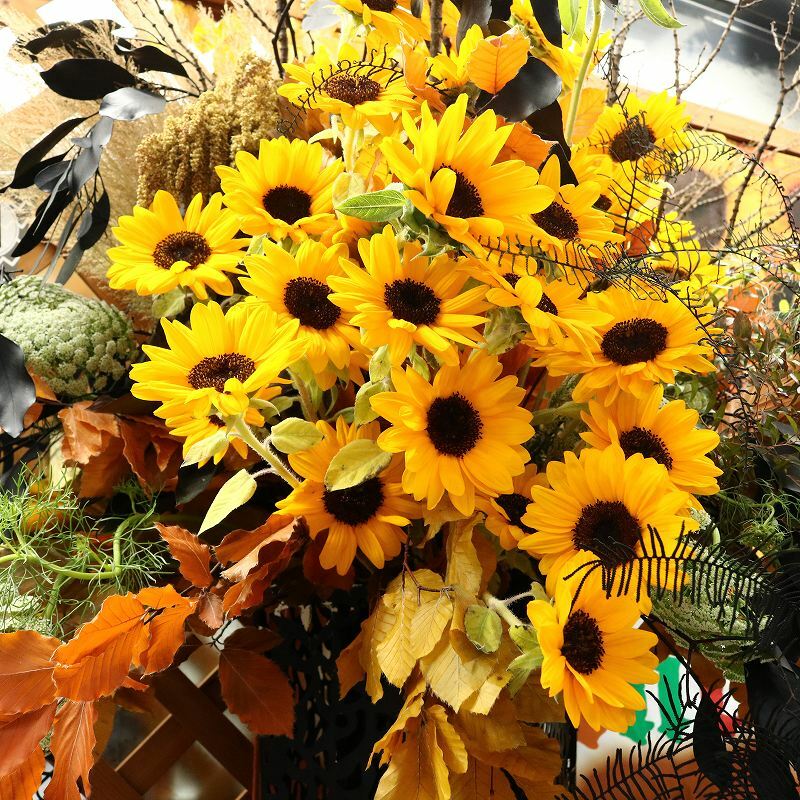 The flowers of Vincent’s series are also looking up that are definitely handy for bouquet arrangements!! 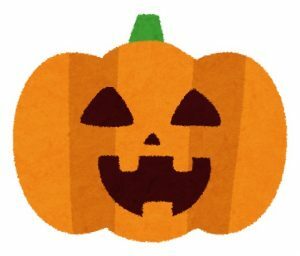 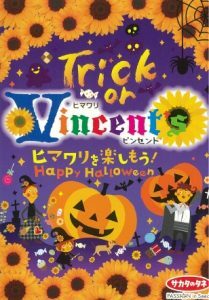 Let’s have fun with Helianthus Vincent in Halloween!